Jennnifer is a professional harpist, songwriter and musician with 25 years performing and teaching experience. From the BBC Young Tradition Award, to playing electric harp as part of Snow Patrol’s touring band, Jennifer has enjoyed a rich and varied career. Her innate musicality and innovative approach to the lever harp has invited collaborations and recording sessions with roots artists like Eddi Reader, Boo Hewerdine, Jackie Oates and Miranda Sykes, as well as international artists like Susheela Raman and Susanna Baca. Jennifer has appeared on national television and radio, and tours the UK and abroad with her trio performing her own material. Her album ‘Carnforth Station’ recorded at Peter Gabriel’s Real World Studios with producer Stephen W Tayler (Kate Bush) received stunning reviews. 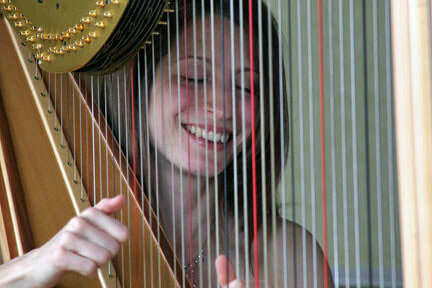 Jennifer is both inspirational and down-to-earth in her approach to teaching the harp. Along with improving your technique, she will encourage you to develop your creativity and musicality, your understanding of structure and harmony, and invite you to play the music that excites and motivates you. If you compose a little (or a lot) she will explore that with you too. Jennifer can also coach you in recording, arranging, and performance skills, as well as singing and writing songs with the harp. So if you are looking for someone who can help you find your own unique expression through this ever-evolving instrument, then give Jennifer a call! “Jennifer is a first rate Harp teacher regardless of your starting point, from beginner to advanced. She tailors her teaching to the individual and their needs. Her enthusiasm and love of the Harp is infectious and you can't help coming away from her lessons with your spirits lifted and your love of the harp deepened. I would have no hesitation i. 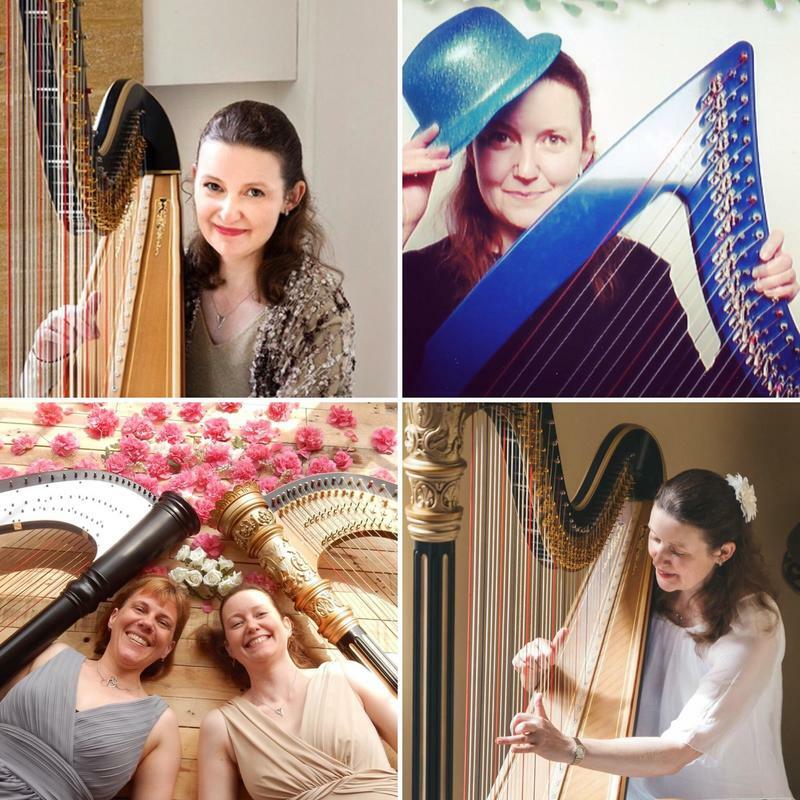 After over 23 years as a Professional Harpist Claire has a wealth of experience providing beautiful live Harp music. She realises every event is special and unique and has over a thousand delighted customers. Claire is highly regarded for the exceptionally beautiful sound she is able to create on the Harp and the emotion with which she plays. Claire read music at Royal Holloway University of London, majoring in Harp and graduating with BMus Hons. Whilst there she studied Harp under Charlotte Seale, Professor of Harp at the Guildhall School of Music. She continued her studies and achieved her ABRSM Diploma in Harp Performance. Now based in Bristol, Claire is in great demand and plays regularly for weddings, business and private events throughout Bristol, Bath, Cheltenham, Gloucester, Wiltshire, Somerset. South Wales and the South-West. Claire has a wide repertoire of Classical and Pop including songs by Adele, Beyoncé, Bublé, Carpenters, Coldplay, Jason Derulo, Elvis, Ellie Goulding, Elton John, Bruno Mars, Ed Sheeran, Sam Smith, Pachelbel, Wagner and many more! Claire is also an experienced harp teacher able to adapt her style to different types of pupils. She enjoys teaching the harp to pupils of all ages and abilities, both privately and at Badminton Girls’ School in Bristol. 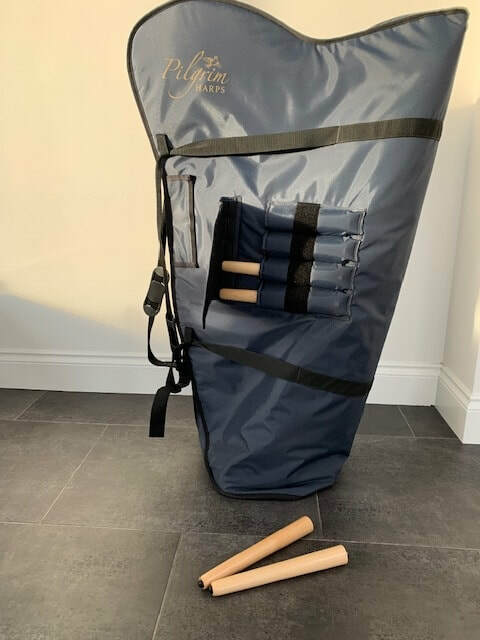 Julia Hammersley is a Bristol based harpist who performs regularly with orchestras and ensembles in the region, including: Bristol Classical Players, Bristol Ensemble, Bristol Concert Orchestra, Brandon Hill Orchestra, Bath Symphony Orchestra and Bristol Opera. 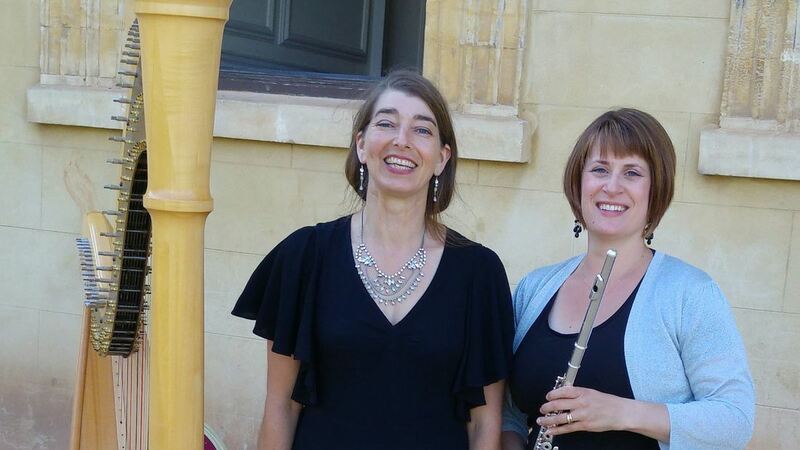 She is also one half of the flute and harp ensemble, Topaz, with Michelle Krawiec, as well as working with the Clarsach Society on small, 34 string harps. 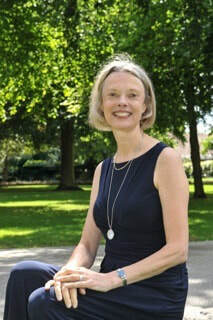 She has been involved in running music workshops in various inner-city Bristol schools, Bristol Royal Children's Hospital, for the Bristol and West of England Clarsach Society and events for young children. She is keen to give people a chance to experience the harp and regularly takes a collection of small harps (clarsachs) to events to promote the harp.